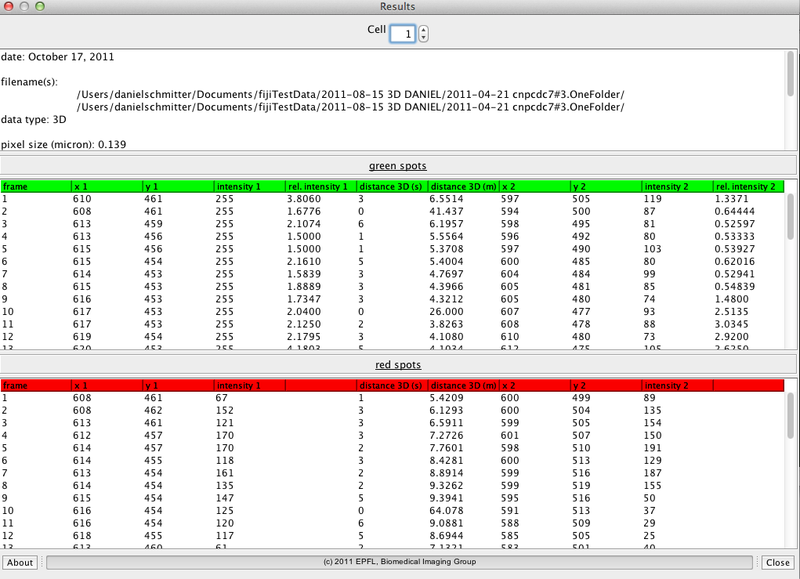 ltering of the raw data, the proteins are detected. The tracking is done through a dynamic programing algorithm which allows to nd the trajectory even through very noisy sequences. For the cell segmenta- tion an active contour model was developed which adapts to the rod shaped cell structure. 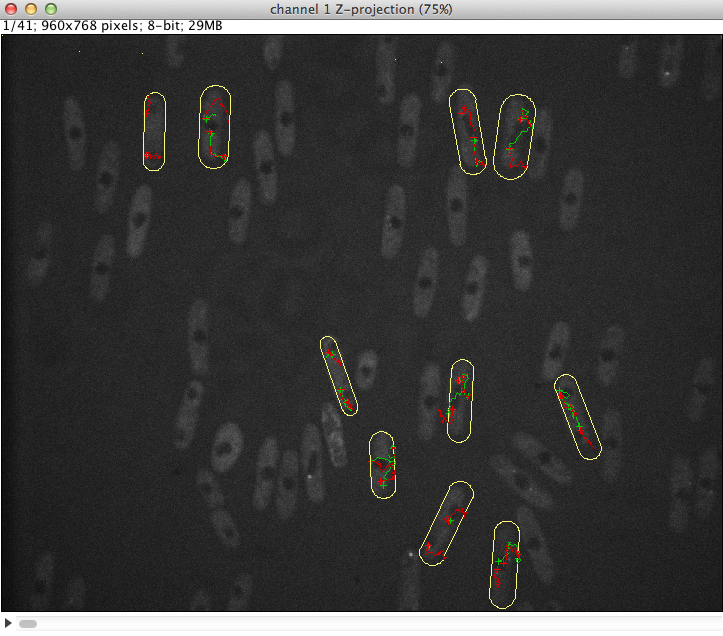 A plugin just to segment rod shaped cells was individually developed.